Tim White Remodeling has over 20 yrs experience to offer their customers, quality workmanship and a level of continuing growth that sets them apart from their competition. Remodeling services that we offer include Roofing, Siding, windows, Kitchens and baths, Dormers, Extensions, Sunrooms and Basement finishing systems. Our Company slogan is "Guaranteeing the homeowner's complete satisfaction." It's a phrase we live by. We are totally focused on whatever is necessary for our customers to be satisfied with our work. Focusing On The Job At Hand While many remodeling firms split their work crews so they can take on as many jobs as possible, Tim White Remodeling believe in completing your remodeling project before starting another one. "If we assign a siding crew to a given job, that crew is dedicated to working only on that jobsite until the project is completed," Says Tim . "Focusing on one job at a time is the best way to assure job quality and on time completion." Communication Is Key The key to any successful remodeling project is good communication between the remodeler and the customer. Any homeowner going through the remodeling process is going to have questions and concerns. The key to address them before they become a problem. Tim White Remodeling does just that! They have full time production managers overseeing all jobs. The primary function of our production managers is to keep an open line of communication with the homeowners. They will address and stop any problems before they start. Quality in, Quality Out Tim White Remodeling are dedicated to using only the best products in their remodeling projects. We sell and install only the finest products. Any product we use needs a trusted name and a proven track record. If we wouldn't use it on our homes we wouldn't put it on yours. When you hire Tim White Remodeling you get superior craftsmanship, dependable work schedules and quality products, all at a reasonable price. Home improvement construction was just completed on my home by Tim White, Inc., and we are very pleased with the results. Kudos to Tim's staff, especially Tom Miller, as well as his electrician associate, Pete Abagnale. This Company is truly the epitome of INTEGRITY/CRAFTSMANSHIP, and we most assuredly will use their services again, as well as recommend them to anyone. Thank you for a job well done! I was looking for someone to have my house remodelled, because it had started feeling a little worn out. My father in law suggested that I paid a visit at Tin White Remodeling in Seaford. I asked for an offer regarding the kitchen and the bathroom alone. However, the price was so good that I was instantly convinced to do the whole house as well. People started working at once, they were really effective and the whole place was done within a couple of months, which must be some kind of record! The results were amazing! The place now looks gorgeous, my wife has been excited and we are always inviting friends over without having to feel bad about our house. Even my kather in law is now thinking of having his new house remodelled within the next few months. 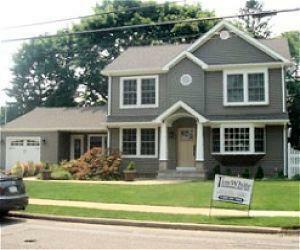 Tim White is the perfect construction site to remodel our homes. We have been hiring him for quite some time and we’re always happy with the results. Thank you for the services. As always! Actually, we were planning to have our house remodelled for quite some time now but the timing was never on our side. However, when we paid a visit at Tim White Remodelling, after the recommendation of our cousin, we found that the whole procedure would not be that hard or time consuming. The price was going to be less than what we had planned too, so we proceeded with the task and now we feel nothing but gratitude for those great professionals that managed to perform everything perfectly. Tim Whites is an established remodeling company and I hired them with high expectations. However, as they say, going in with high expectations is never good when you hire contractors, especially for remodeling jobs! There is nothing ‘wrong’ with what Tim Whites did to my house, which required a total make over. However, there is nothing ‘great’ and ‘rave-worthy’ about the service either! Let me sum up by saying – they were proactive, responsive to my messages, and very prompt with the work. The cons, nevertheless, are lack of proper creativity in design, no great quality with most of the materials barely qualifying standards, and total disregard of instructions. While they did a decent job, the results for the price are not satisfactory and I might not work with them on such a huge project again. If I have a tiny remodeling job (with no creative expertise needed), they might qualify, though. Hope this helps! Having a hideous looking backyard and porch, I contacted Time White for a house remodeling job and the services were satisfactory. I would have liked them to be a little more responsive, they took a long time to come over and have a look and an even longer time to get started. Once they started, they were good enough and finished the job with no huge discrepancies. Their contractors were friendly and when I asked them for a few more paid odd jobs, they were happy to help. I’ll recommend their services but they get one star less for untimely services – for me, punctuality is also a huge bargain. After hearing good things about Tim White remodeling company I decided to hire them to remodel my kitchen. I did not want the ordinary kitchen remodeling, however. I wanted a kitchen that stood out, one that screamed luxury. Tim White Remodeling provided me with that amazing kitchen. My one and only complaint is that they took a bit longer than anticipated to complete the job, however considering all of my demands and the immaculate quality of their work, this is one of those things that I will not allow to ruin the day. My new kitchen features bright blasts of colors that bring things alive. All white cabinets really set the colors out, and my state-of-the art appliances top it all off. The guys at Tim White seemed very professional and fixed on the job at hand. They were a pleasure to be around, and made sure they cleaned as they went along so there wasn't a big mess lying around. All in all Tim White Remodeling has made my dreams come true! A woman could really get used to this. The outside of my home was starting to be a neighborhood eye sore, so I decided it was time to do something about it. Tim White Remodeling, came out and made some recommendations. I decided that I would go with siding instead of simply painting the outside of my home. We also decided that the roof could use an overhaul also, so I got a new roof. We discussed the idea of maybe putting in some new windows, but that will be another project, and you can bet that Tim White Remodeling will be doing that job too. Do you have any experience using Tim White Remodeling? If so, please rate your experience and let others hear about it using the form below.